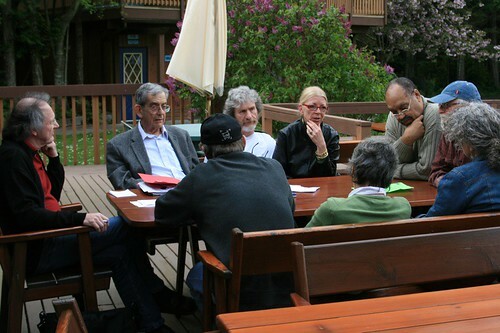 INTAR’s 2007 gathering was held at The Haven on Gabriola Island in British Columbia, Canada. More than thirty participants from 5 countries gathered for four days of workshops and presentations. The conference was organized around three themes: Alternatives; Organization and structure; and Dissemination and outreach, and concluded with a Public Panel presentation to more than 100 participants from the public at Malaspina College. Download the press release about the gathering here. Read Chris Stevenson’s INTAR 2007 conference report here.